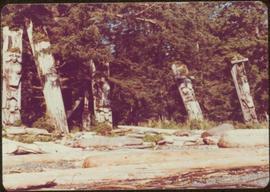 Forest in background, wooden logs lie in foreground. 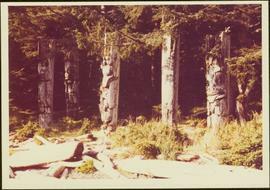 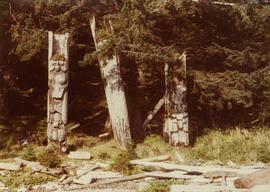 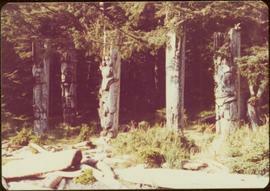 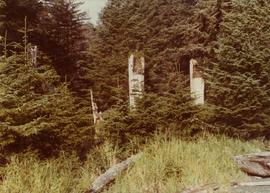 Photograph depicts three Haida totem poles on Ninstints, Anthony Island, with drift wood in the foreground. 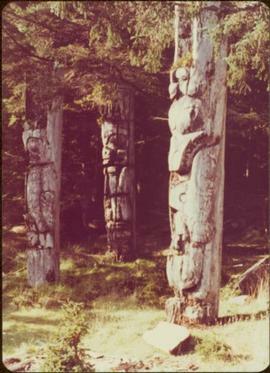 Photograph depicts three Haida totem poles, partially obscured by grass and young trees. 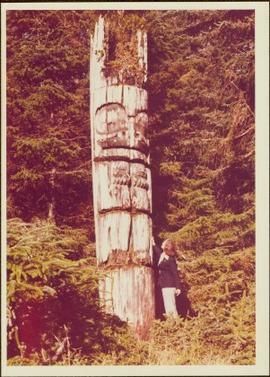 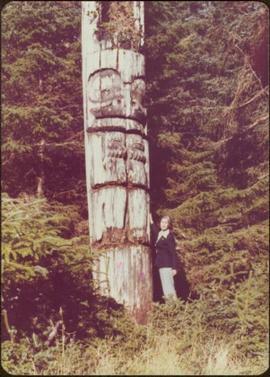 Photograph depicts Iona Campagnolo looking at a fallen Haida totem pole with Peter Jones in Ninstints on Anthony Island. 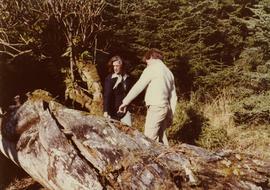 Peter Jones is facing away from the camera. 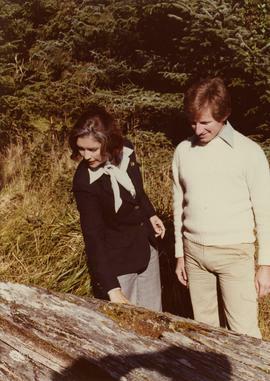 Forest in background.Handwritten annotation on verso of photograph reads: “Anthony Island, Ninstints, on Q.C.I., Sept/77”.